Tom Clark was born and raised, in that order. He has appeared on such shows as TBS’s Conan, CBS’s Late Late Show, The Bob & Tom Radio Show, and Comedy Central’s Premium Blend. Clark has traveled coast to coast doing stand up and has performed internationally as part of New Faces at the prestigious Just For Laughs Comedy Festival in Montreal and on The Main Stage at The Capetown Comedy Festival in South Africa. Clark is also an actor and has appeared on such shows as HBO’s Euphoria and Room 104, NBC's Outsourced, TNT’s The Closer, and the Hallmark made for TV movie The Wish List. After landing the role on Outsourced, director Ken Kwapis invited Clark to be in the Drew Barrymore movie, Big Miracle. You can also see Clark in Columbia Pictures horror comedy Freaks of Nature. 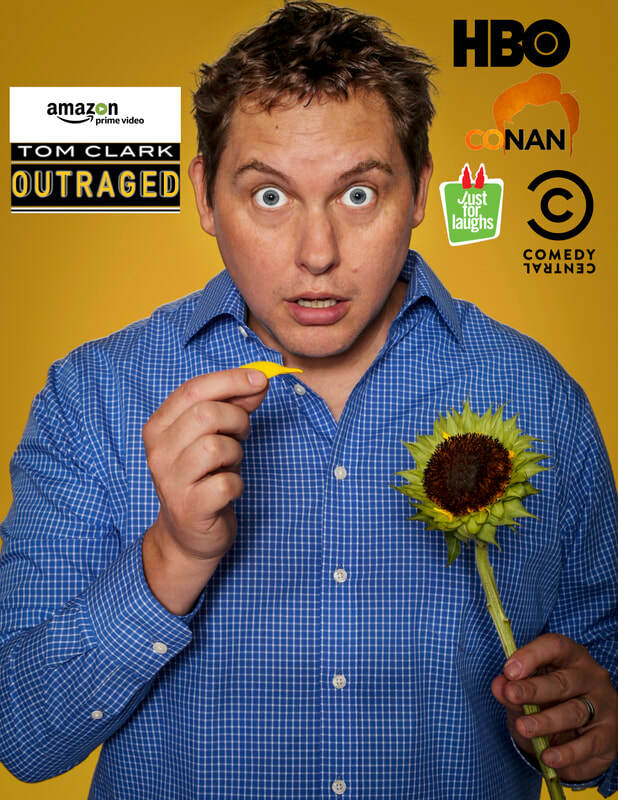 Also, Tom's Stand Up Special "Outraged" is currently streaming on Amazon Prime! Columbia Pictures "Freaks of Nature"
JOIN MY FAN PAGE ON FACEBOOK, FOLLOW ME ON TWITTER & CHECK OUT MY VIDEOS ON YOUTUBE.